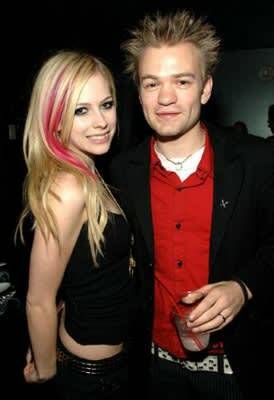 Avril Lavigne and Sum 41 member Deryck Whibley got engaged in 2005 and subsequently married in July 2006. Their marriage dissolved quickly after rumors from media outlets reported that the two were experiencing trouble in their relationship. In September 2009, the couple separated and eventually filed for divorce, citing irreconcilable differences. "Deryck and I have been together for 6-and-a-half years," Lavigne explained on her website. "[We] are separating and moving forward on a positive note."